OmegaBrite sponsors programs that foster health, education, and world peace. We feel it is important to be a partner in both the local and international community and work to bring hope and health to all. OmegaBrite supports research in Depression, Bipolar Disorder, ADD, Autism, cardiac health, women’s health, breast cancer survivors, Arthritis and Huntington’s Disease. The people that we have come to know in these research projects inspire us with their courage, strength and will to make the world a better place. We are honored to be able to work in partnership with them. We are pleased to announce that one of our OmegaBrite Scholars, Jacob Wamala, during his Junior Year at MIT, has co- founded the first ever event at MIT to honor the achievements of the MIT Faculty of Color. Everyone at OmegaBrite congratulates him on his academic, athletic and overall success. We also congratulate another OmegaBrite Scholar, Jessica Wamala. Jessica is entering her Junior Year at Villanova University and has besides excelling in her studies, Jessica walked on to the Villanova Division One Basketball Team last year and had an excellent season. Jessica is now attending the University of Oxford as a Rhodes Scholar. Jacob and Jessica are truly exceptional people and we are proud that they are OmegaBrite Scholars. 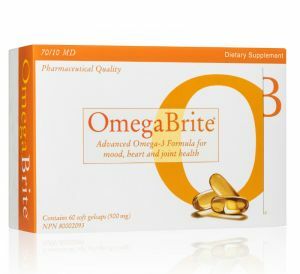 OmegaBrite has been recommended by physicians and professionals for over fifteen years. 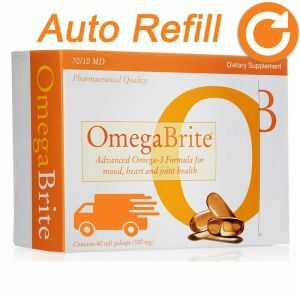 “Another source of a very concentrated form of Omega-3 (a patient could take fewer capsules a day) can be ordered from OmegaBrite at 1-800-699-6525. For more information visit their website at www.omegabrite.com. Nutritional Business Journal in a press release celebrating OmegaBrite’s receipt of the Product of Merit Award in 2007. The Product of Merit awards acknowledge outstanding leaders in the nutrition marketplace. “OMEGA-3 OMEGABRITE SHOWS BENEFIT IN CHILDREN WITH BIPOLAR DISORDER BOSTON”, MA, April 4, 2007. A recently published study by researchers at Harvard and Massachusetts General Hospital shows that a specially formulated Omega-3 fatty acid supplement showed beneficial results in a study of children with bipolar disorder. The OmegaBrite supplement of high EPA Omega-3 fatty acids was tested for effectiveness and safety on 20 boys and girls with bipolar disorder, 6 to 17 years old, over an eight-week period. Thirty five percent of the children experienced a greater than 50% percent reduction in symptoms with no adverse side effects. Biederman and Wozniak’s previous study using Olanzepine and Risperidal showed similar results to the Omega-3 supplement with a 53% reduction in mania for olanzepine and a 69% reduction in mania using risperidal. The pharmaceutical drugs in that prior study had side effects of sedation, weight gain, increased prolactin levels and increased heart rate. The Omega-3 OmegaBrite had no side effects and was well tolerated. The children receiving 6 capsules per day of the omega-3 OmegaBrite had benefit. Results from this prospective, open study of monotherapy with Omega-3 fatty acids in the over-the-counter product OmegaBrite suggest that manic symptoms can be rapidly reduced in youths with BPD with a safe and well-tolerated nutritional supplement. The study findings indicate importance of further research on Omega-3, mood disorders and children. The Massachusetts General study, funded by a Stanley Foundation grant, was reported in European Neuropsychopharmacology in February 2007. By Elizabeth M. Ward, M.S, R.D.